Julie Dawkins Family: Extra Fabric Laying Around? Oven Mitts from Linda Made; she offers a free tutorial. Fabric Bowls (this is a great idea!) find the instructions here from Design Sponge. 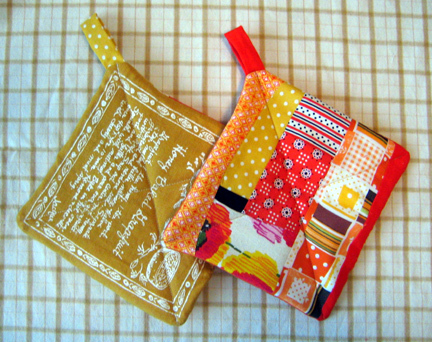 Fabric Envelope (I think you could stretch it longer to a clutch) by Enjoy the Ride. Fabric envelopes also from Design Sponge. 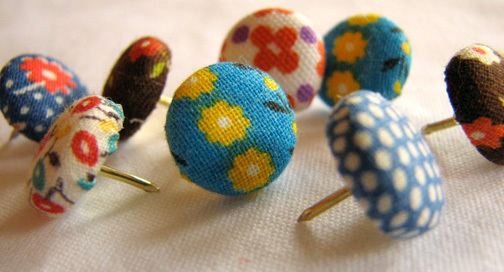 Fabric thumbtacks. 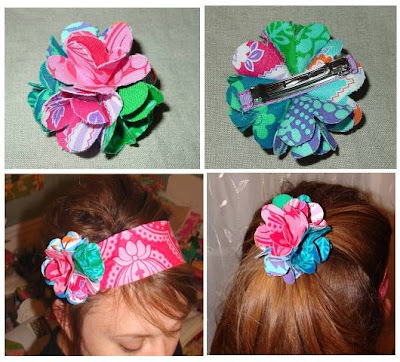 This would use up the tiny scraps. The tutorial is at How About Orange. Totally fabric necklace from Cut Out and Keep. No wooden beads needed. 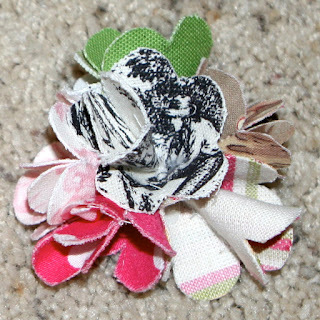 Fabric flowers by Boutique NutMEg Designs.